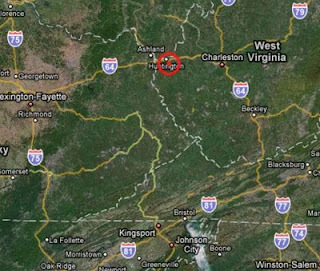 A small plane apparently low on fuel hit a power line and crashed into a wooded area near a West Virginia airport, killing all six people aboard, authorities said. Shortly before the crash Friday, the pilot radioed the nearby airport, warning that the plane was running out of fuel. Witnesses said the aircraft was flying low, then the electricity went out. "The pilot issued a mayday," said Federal Aviation Administration spokesman Jim Peters. "The mayday was based on low fuel." Officials initially said three people had died in the crash, but later revised the death toll to six. The Piper PA-34 crashed less than two miles from the Tri-State Airport near the Ohio and Kentucky state lines. Peters said Tri-State controllers were working with the pilot when the plane made a sudden 180-degree turn and they lost contact. FAA spokeswoman Arlene Salac didn't know where the plane had taken off from or where it was headed. Witness Chris Smith was outside with his daughter when he saw the plane go down. Appalachian Power confirmed the plane hit a transmission line, but spokesman Phil Moye said power to the area was only briefly affected. The National Transportation Safety Board will investigate the crash.